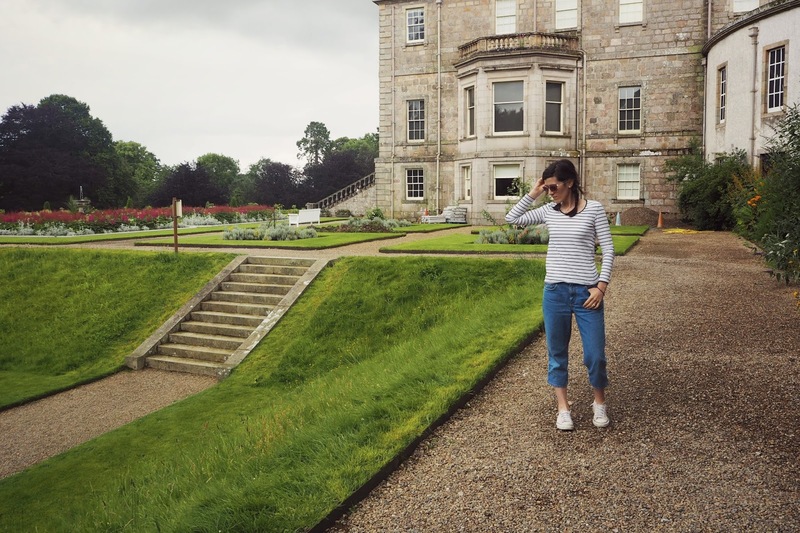 Last weekend Steven and I decide to go in the countryside for an afternoon tea date at Haddo House. It was about to rain as soon as we arrived so we rushed in the tea room and placed our order. To our surprise the variety was greater than the last time we visited with some interesting new additions like the orange almond cake and the zucchini vanilla cupcake. The lady at the counter told us that they have a new collaboration with a local baker who supplies them with gluten free cakes and sugar free cupcakes. So much worthy a visit more frequently! Steven got the last cupcake and I got the almond cake, both accompanied by two strong cappuccinos topped with chocolate. My cake was moist and sweet (too sweet I would say) while Steven’s was an absolute delight! Light, just as sweet as it should be and full of citrus flavour, I wish there were more left to buy myself one. The tea room garden is in the middle of the main entrance building of the Haddo house and is the absolute perfect place for a little people-watching as guests and visitors come and go in and out the premises. After tea we gathered around the grounds. I gave my camera to Steven so he could play the photographer, that he did with extreme delight; when there are so many beautiful corners and colourful flowers to capture whats more to wait. And so ended the tales from our staycation! I hope you had a lovely weekend too, what did you do?